Loads here…lots of your POCUS and many papers / blogs and more to check out…. Some images from the Butterfly! So here is an open and honest thread on the device with hands-on experience. A great reminder to us all from Sylvia Duckworth about success….don’t get too jealous of colleagues, as there’s a base to the iceberg you don’t see! Refractory septic shock…how the others do it? 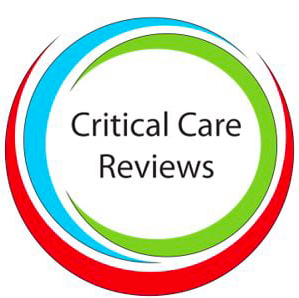 A lovely article demonstrating a pragmatic, multi-faceted approach to managing patients with refractory septic shock based on experience of toxin-mediated sepsis in a specialist referral centre. Thoracic ultrasound…not just about the pleura! A nice letter to the BMJ from colleagues and friends regarding TUS and it’s applications. There can’t be 100% delivery wherever you go! A lovely narrative from Anaesthesia Journal demonstrating the power of RA in minimising morbidity from hip fractures. Top 5 for DVT scanning! TBL do out of hours! We all hate discharging any of our ICU patients out of hours. Morbidity and now mortality. There’s nothing worse than a patient you just discharged bouncing back Here’s the evidence and this backs up why this is a very important figure to focus own within your ICNARC dataset. TBL take us through this paper, looking a patients presenting to the Emergency Department with suspicion for acute coronary syndrome (ACS). Did the use of a high-sensitivity troponin assay reduce subsequent myocardial infarction or cardiovascular death at 12 months when compared with the use of a standard troponin assay? Matt Wiles takes us through the latest updates in management of this condition. Or not…Jason Bowman shows us how you can detect pupillary response with your eyes, (the patient’s), shut! Too and fro for SBO! Thx to Robert Strony for this. Gonzalo Casasola shows us what a bleed here looks like! We always love to hate seeing these..thx to U of U period Echo for this. There could be something hiding in Morrison’s Pouch! Thanks to VL Sorrel for this one. What is it then? Persistent left superior vena cava draining into the left atrium (PLSVC into LA) often associated with an absent coronary sinus and an atrial septal defect. Ligation of PLSVC and patch-repair of the atrial septal defect can be performed. It can include additional multiple cardiac defects, including ventricular septal defect, pulmonary stenosis, tricuspid insufficiency, and complete transposition of the great arteries. Palliative Blalock procedure can be used in these cases. was used for this patient. CT scan of the heart can be of great assistance. Surgical correction of the persistent superior vena cava is the emphasis to prevent what this patient had…a stroke! Pericardial effusion in a RTA patient? Another lovely example from Eric Abrams in a patient with sub-massive PE. This is a novel transverse approach…tP being the transverse process. Sam takes apart SSC guidelines…as we all have! Check this out from Ahmad Masri! Mercury poisoning and literal mercury lung! 2 lovely slides from Mike Griksaitis from one of his recent talks. A nice infographic from Anaesthesia Journal on a highly relevant study…are we being too quick to stop these drugs prior to general anaesthesia? In an infograph from Aaron Sparshott. Thanks to Vivek Moitra for this. Great Tweetorial from Canadian Journal; of Anaesthesia. Thx to Hatem Aboumarie. Nice infographics on these from Bernadette Keefe. Thanks to Graham Mackenzie for pointing this one out. Great stuff, as usual! Thanks for compiling these! A lot of stuff I missed over the past week.